In our research, the simulation model driven engineering for manufacturing cell (SMDE-MC) is proposed. The purposes of SMDE-MC are to support the manufacturing engineering processes based on the simulation model and to extend the range of control applications and simulation applications using the PC based control. SMDE-MC provides the simulation model which controls and monitors the manufacturing cell directly using PC based control in the manufacturing system execution phase. Then when the simulation model acts in response to its behaviors, the manufacturing system is controlled by synchronizing the simulation model behaviors. 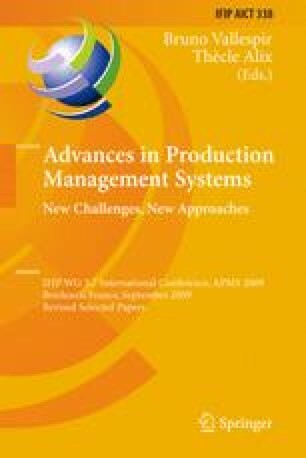 In the manufacturing system implementation phase, the simulation model is mixed and synchronized with real equipment, real controllers, and management applications under a condition where parts of equipment, control programs, and manufacturing management applications are not provided in a manufacturing system.